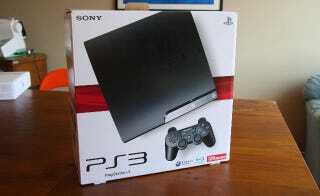 So, the PlayStation 3 Slim is real. How real? Well, so real you can look at its box, open it, then take the thing out of its box, then look at it some more. Courtesy of our pals at Gizmodo SF, here's a more intimate look than press shots can afford, showing the console's rougher texture, slighter dimensions and physical buttons.